News @DragonForce World Tour resumes next week! Hear @samdforce @HermanLi_ on @BABYMETAL_JAPAN new song trailer https://t.co/JJOjylkaTY. 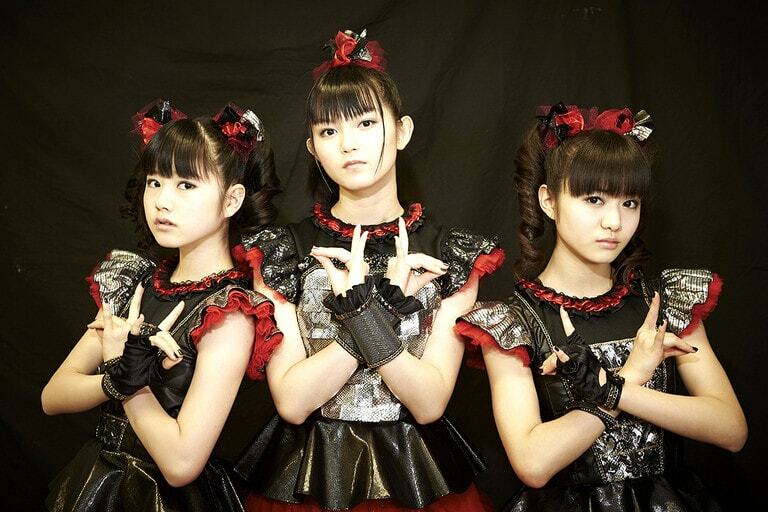 Japanese pop/metal trio Babymetal bring 20,000 fans to Tokyo’s Saitama Super Arena and Fuse gets an insider look at how it goes down. Babymetal’s vocalist Su-metal gives a rare interview to Fuse about meeting Lady Gaga, Slayer, their biggest concert to date and much more after performing for 20,000 fans in Tokyo. Kobametal, the elusive executive behind the teenage pop-metal trio Babymetal, sat down for an exclusive interview with Fuse—in a full-body skeleton suit, in Tokyo, after Babymetal’s biggest show of their career.